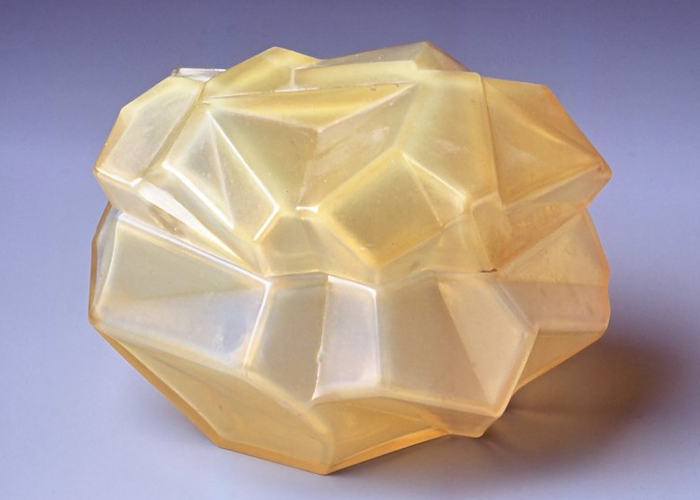 who ever said glass had to be round?! 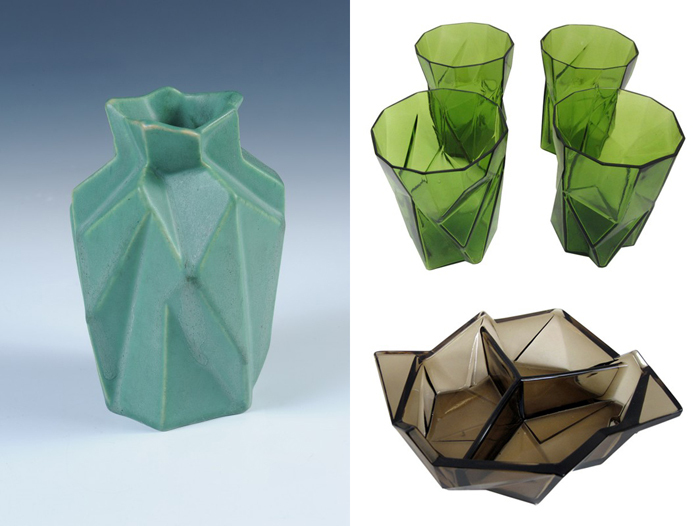 inspired by the cubism he encountered during a trip to paris in 1925, designer reuben haley created a shocking line of geometric glassware that channeled the lines and angles of modernism. 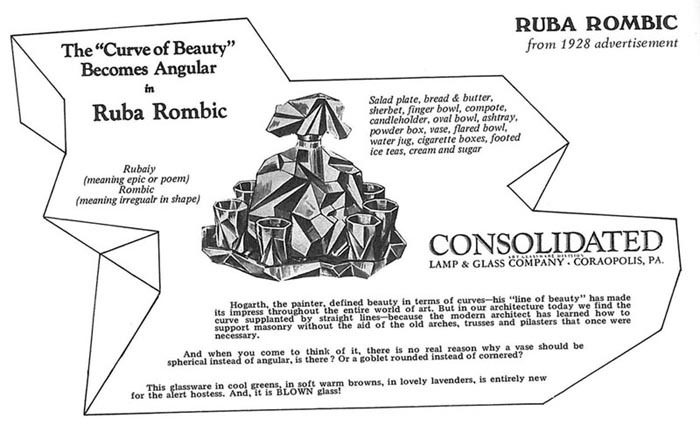 ruba rombic glassware was introduced in 1928 by consolidated lamp and glass of coraopolis in pennsylvania and designs were produced in ceramic by munice pottery in indiana. unfortunately the launch of the line was ill-received and ill-timed- the pieces were a little too wild, a little too expensive ($5 a vase! 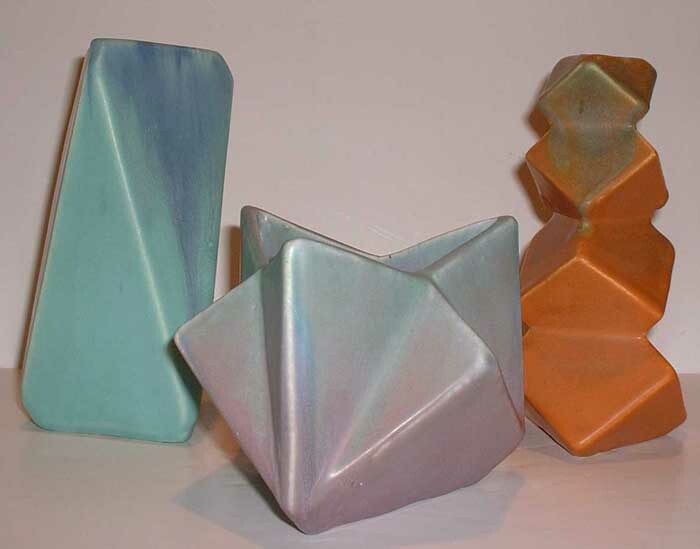 ), the stock market crashed, and the factory shut down during the depression in 1932. collectors fiend over these rare pieces that chip way too easily and are hard to clean, but for good reason: they are art deco embodied…from every angle! 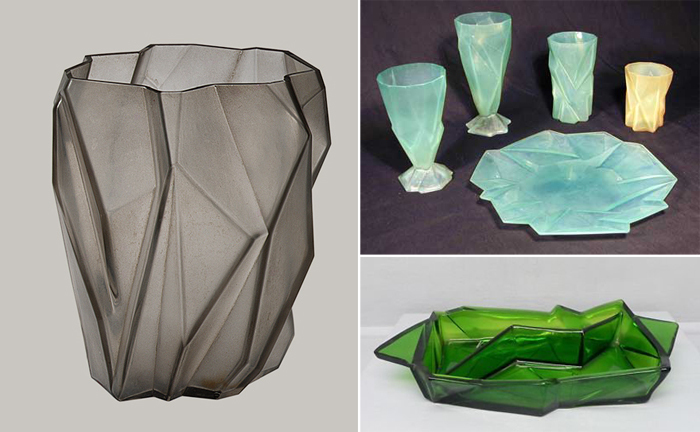 read more about ruba rombic and its history in this article, appropriately titled, “RUBA ROMBIC IS CRAZY-LOOKING BUT VALUABLE GLASSWARE” and see the kirkland museum’s ruba rombic collection on antiques roadshow here (starts around 21:30). and look out for the ruba rombic glasses getting smashed (at 1:56) by laurel & hardy in their hilarious 1930 prohibition film, blotto! 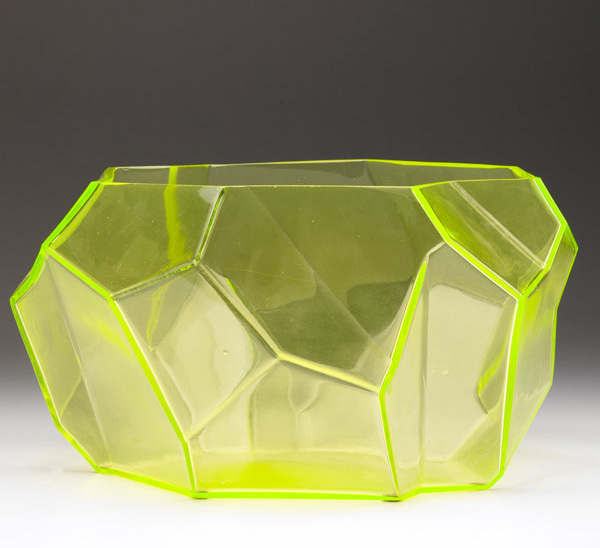 images via brooklyn museum, the met, the kirkland museum, modernism, and lots of online auction sites! 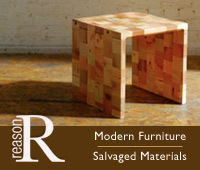 This entry was posted on August 12, 2011 at 12:39 am and is filed under ART, BIG NEWS, COLOR, DESIGN, HISTORY. You can follow any responses to this entry through the RSS 2.0 feed.